This year it's 10 years since I released my first album Passion! The title song of that album has changed my life on a number of occasions, so I decided to celebrate. So... I am creating on a new remix of the original recording. It might not seem earth-shattering, but I believe it is. 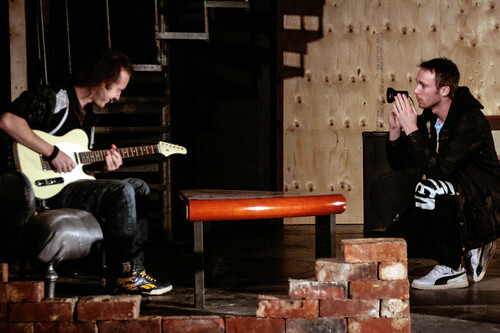 The tracks I am using are: vocals, guitar, flute, string section and the guitar solo. It will be very similar to the original. Just longer, and even more groovy. I believe you're gonna love it. Here's a sample just for you. My new single is released today! 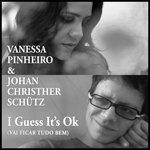 I GUESS IT'S OK (VAI FICAR TUDO BEM) is a duet with Vanessa Pinheiro (Brazil), performed in English and Portuguese! The music video features footage from the 1914 movie Cinderella, with the stunning Mary Pickford doing a touching performance in the lead role. And now, 100 years later, she ended up in my music video... Her acting brings tears to my eyes. Finally... The opening performance of RENT will be March 2nd! We will hopefully be able to finish building the stage at the end of next week, so we at least will have 1 week of rehearsals as it is supposed to be. Until now, we are missing several vital parts of the stage (staircase, balcony, etc.) which makes us have to imagine how the final staging will look. Here are some photos I took during one of the rehearsals. Please note there is still no props, costumes, lighting, etc. Roger and Mimi (Olle Petersson and Linnea Källström). At Life Cafe - La Vie Boheme. The Support Group for people with HIV/AIDS. I honestly hope and seriously believe that Jonathan Larson, the writer and composer of RENT, will be proud of our production as he watches it from his heaven.